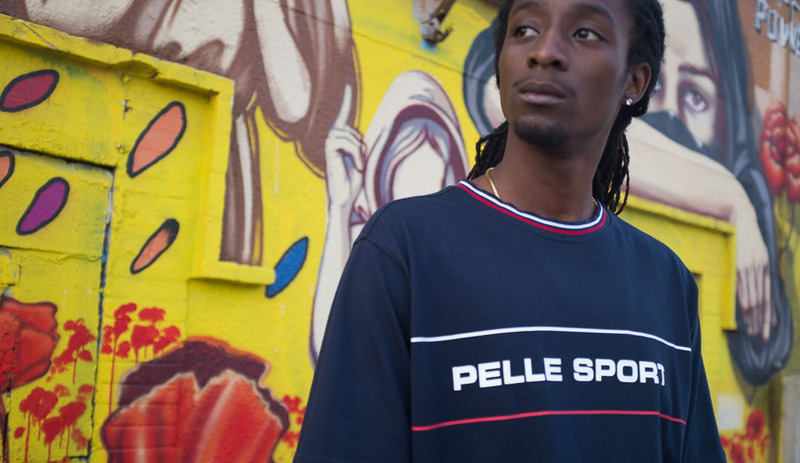 Pelle Pelle is not your average urban brand. Its strong roots are firmly planted in urban territory for too many years for being just like any other brand of the contemporary streetwear panorama. Pelle Pelle is your fresh friend that doesn’t show signs of its age. Call it timeless flavor if you prefer but this brand diversifies its collection into several lines ready to satisfy any potential fan. 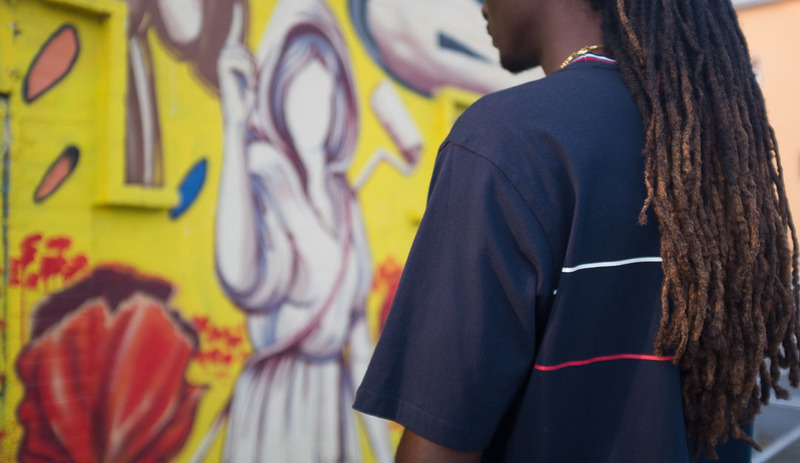 Your style may be urban progressive so you may intrigued by something that belongs to the Sayagata Serie or if you are a die hard hip hop fan you may check out something that belongs to the Wu Tang collaboration but today I have something for the sporty types. 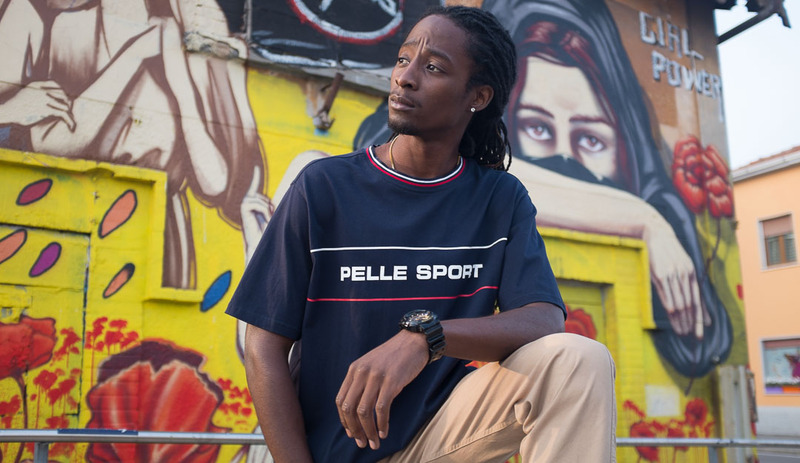 Do you remember the last time that we saw something from Pelle Sport serie? Today we are dealing with Linear t-shirt, another item that plays with the assonance among Pelle Pelle and another brand a little bit more popular that recently collaborated with Palace on a smashing capsule. 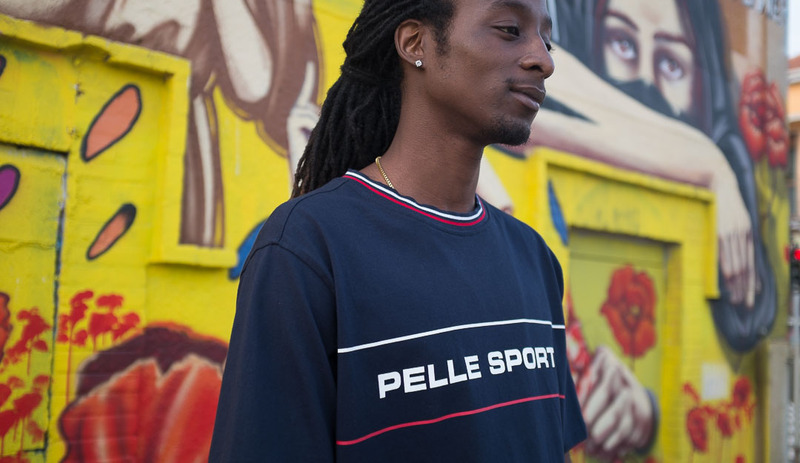 The goal is a clean item with a strong sporty flavor yet true to the essence of what Pelle Pelle represents. Go conquer every corner of the city with the freshness of this crispy navy blue tone: as you can see from these short of Luis M, this t-shirt gives you the power to do so. Its ribbed jacquard collar makes this tee superior if you compare it to the average printed tee.